WCI Communities has finalized the second of two land transactions within the 52-acre Westshore Marina District in Tampa, paving the way for 140 upscale townhomes within the mixed-use development. WCI’s June 18 acquisition of 9.5 acres for $12.5 million follows a May 2017 deal for 2.35 acres, which it bought from Westshore Marina master developer BTI Partners for $2.5 million. The Lennar Corp. subsidiary intends to develop a series of three- and four-story townhomes, to compliment other residential offerings in the $750 million community. 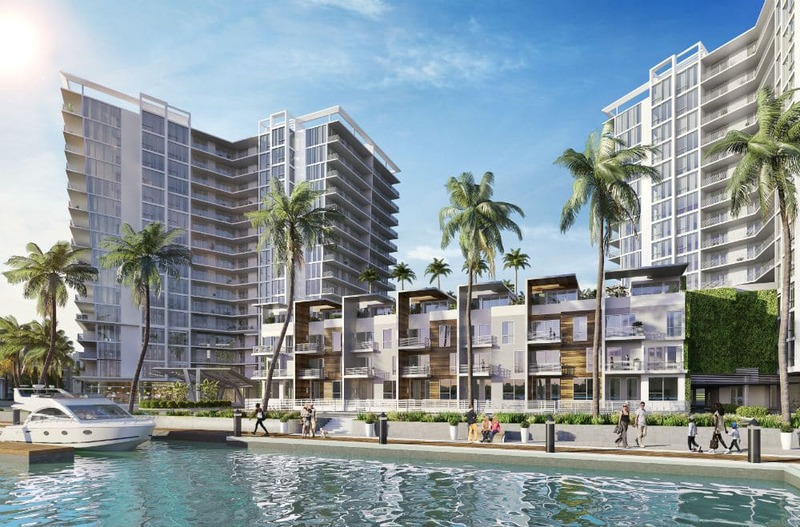 Miami-based Related Group, for instance, is building 396 upscale rental apartments slated for completion next summer, and Bainbridge Cos. is constructing a 351-unit upscale complex within the waterfront community. It, too, is expected to be completed in 2019. In all, land sales in the Westshore Marina District have topped $50 million, and more will likely be in the offing as Fort Lauderdale-based BTI embarks on a plan to add roughly 70,000 square feet of retail and office space. To that end, BTI has tapped a former Colliers International executive, Britney Mroczkowski, as its vice president of retail development. Daniel says the five acres being devoted to commercial space will be marketed to local and regional restaurants, a gourmet market, wine bars, unique fitness concepts and others that will appeal primarily to Westshore Marina residents. BTI hopes to break ground on a 25,000-square-foot “town center” around the end of the year to house some of the retail and restaurant space. The WCI land sale won’t usher in the district’s final residential component, either. BTI is currently taking reservations for Marina Pointe, a trio of 16-story condo towers it plans to develop itself, together with a 150-slip marina. To date, the firm has more than $50 million in reservations for Marina Pointe units, which are priced at $700,000 and above.